The iPad Touch Screen Wiper by MobiCloth is the ultimate solution for removing fingerprint smudges from your tablet mobile device. Everyone with a touch screen tablet knows that it doesn't take long for the oils on your hands and fingers to be transferred to the screen of your mobile device. In the sun and bright light these smudges can make the screen hard to see, and the text hard to read. This microfiber screen cleaner by MobiCloth removes these smudges with one easy swipe. This tablet screen cleaner is made with the highest quality suede microfiber. We designed our touch screen cloth to leave no lint or streaks after cleaning. 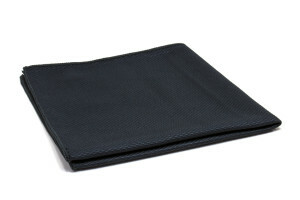 This touch screen cleaning cloth is 7" x 9", the size of your iPad screen, so that it fits easy in your mobile device's case.